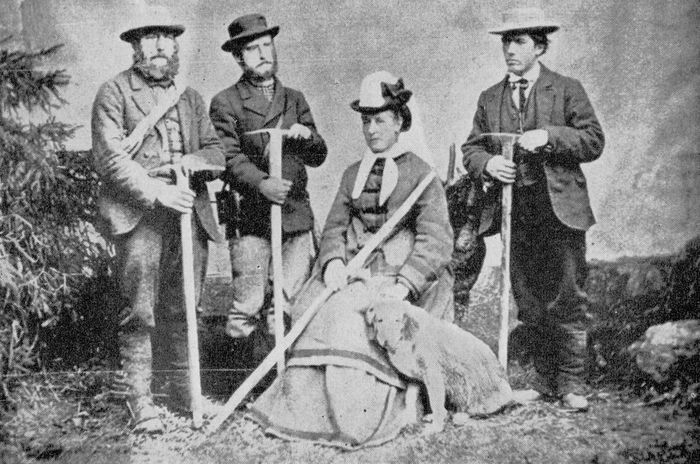 Born in 1836, Lucy Walker was a British woman widely credited as being the first female alpine mountaineer. 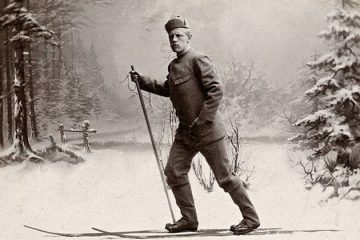 Lucy was from a Liverpool family that spent every summer in the Alps. They based themselves at a variety of locations where they would be able to walk and climb. 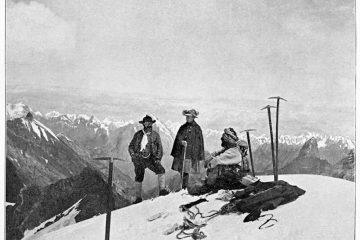 Lucy’s father, Frank, and her brother, Horace, had become well-known climbers throughout this pioneering period in which the major peaks of the Alps were being ascended for the first time. 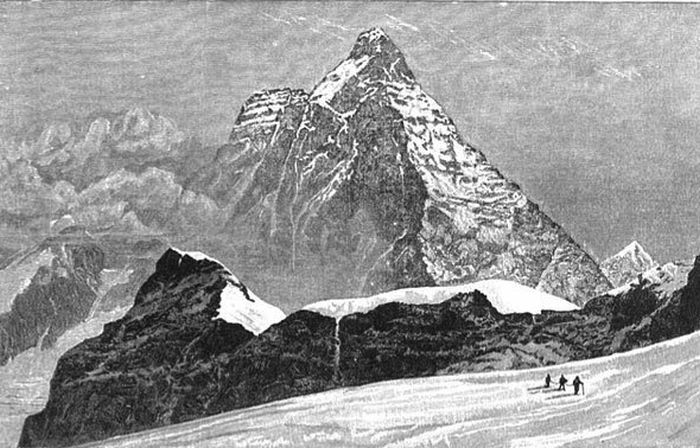 Lucy enjoyed walking in the Alps and in 1858 she scaled both the Theodul and Monte Moro passes. The following year, wanting to build upon these experiences, Lucy expressed a desire to climb the Altels, a 3,629m peak in Switzerland. Her father suggested that Melchoir Anderegg would be the best guide to accompany them. The climb was a success and so began Lucy’s mountaineering career and her first of many ascents with Melchoir, who was Swiss, the only guide she ever climbed with. 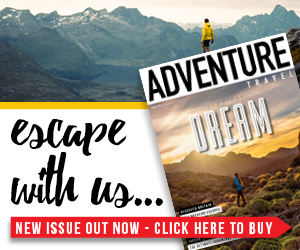 Over the following years, Lucy’s climbing progressed as she completed a number of significant routes, notably the Dufourspitze, Mont Blanc, the Eiger, Rimpfischorn and the first ever ascent of the Balmhorn (3,698m in the Bernese Alps). 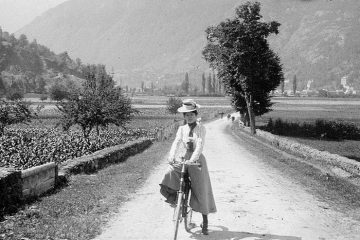 Following these triumphs, Lucy went on to climb the Jungfrau, the Dom, the Monch and the Aiguille Verte. Lucy and any other women venturing to great heights had considerable malice directed towards them, as it was widely believed that a woman’s place was in the home, supporting the male dominated society of the time. 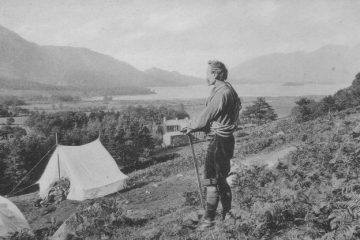 Mountain activities were generally considered to be foolhardy and definitely not for a lady! It also wasn’t seen as acceptable for Lucy to be alone with unrelated males during these excursions, so her climbing parties always included a family member. A further handicap she had to endure was that she was expected to climb in a voluminous skirt, for modesty. 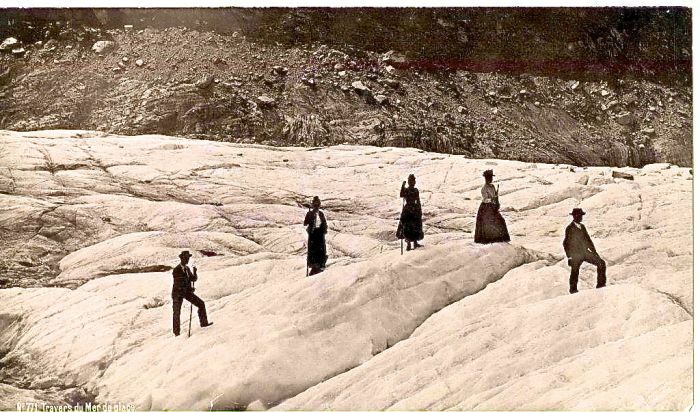 In 1871, Lucy decided she wanted to climb the Matterhorn. So, in a climbing party that included her father and Melchoir, she ascended the mountain from the Swiss side, becoming the first woman to climb the iconic peak. 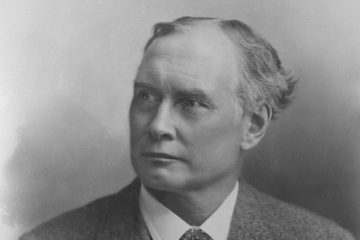 Lucy received both condemnation as well as some acclaim for her efforts; not long after her climb, Punch magazine published a poem in her honour ending in, ‘I say, my boys, doesn’t she know how to climb!’ Praise indeed. The most notable of her later successes were the Taschhorn, the Weisshorn and the Alphubel. Lucy’s climbing career spanned some 21 years, totalling 90 or so different summits, many being first ascents by a woman. In later life Lucy continued to walk in the Alps and meet with friends, including Melchoir Andregg. 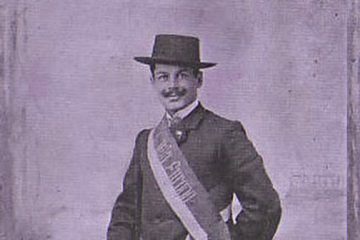 When asked why she had never married, her typically direct reply was: “I love mountains and Melchoir and Melchoir already has a wife!” Although Lucy was an extremely capable mountaineer, she was never allowed to join the male-only Alpine Club in London but did become the president of the Ladies’ Alpine Club. She died in 1916. Lucy Walker was at the forefront of female alpinism and made many major ascents. She loved mountains and the excitement of climbing. Lucy possessed great strength, endurance and determination and was an inspiration, especially for other women climbers. I recommend the book Women Climbers: 200 Years of Achievement, by Bill Birkett and Bill Peascod for more information.